When travelling around Leeds it is easy to ignore the architectural beauty on show. From the rising pinnacle of the Leeds University Parkinson Building, to the solid, pillar imbued Town Hall. These structures act as a reminder of Leeds’ booming past and the vast amount of wealth that was accrued within the city during the industrial revolution. One of the most impressive of these structures is the Old Post Office building, situated opposite the train station and over looking City Square; this impressive Victorian era building emanates class and sophistication. The building was designed and built by Sir Henry Tanner in 1896, during the reign of Queen Victoria. Built on the site of an old cloth hall, the Old Post Office is now a grade II listed building meaning it is of particularly special interest. It’s not hard to see why as you gaze up at the intricately designed clock tower and the decorative chimney extensions. As the name suggests, the building was originally Leeds’ largest Post Office and also served as the city’s telephone exchange. Surrounding the building are a collection of statues and sculptures depicting loosely dressed women supporting lamps and a rider on horseback. 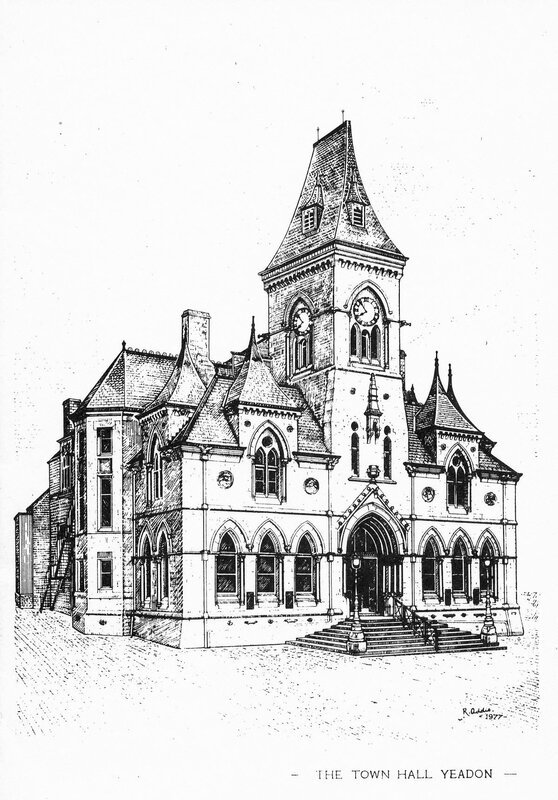 These features were designed by Alfred Drury and Thomas Brock and added to the building in 1899, a few years after the original structure was completed. These additions to the grand Old Post Office are remarkably common in Victorian era architecture. Along with the sculptures, the forecourt also features a multiple water jet fountain creating a horseshoe shape around a coniferous tree, which creates the centre piece. 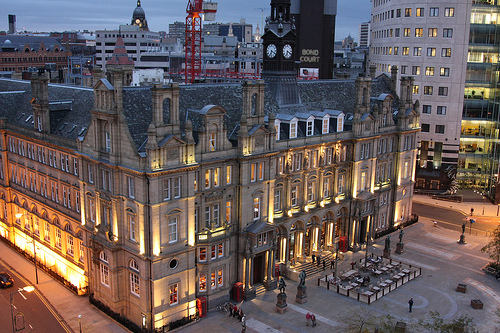 During 2006 the interior of the Old Post Office received an £8 million makeover and is now home to Residence 6, a five star luxury hotel featuring 23 serviced apartments and two top of the range restaurants. The exterior, protected by its grade II listing, has been preserved and has not lost any of its original charm. The apartments are a great place to stay whether you are visiting the city on business or pleasure. The building is situation extremely close to the central shopping areas and the city’s CBD (central business district). Its proximity to the train station also makes it an attractive location for short trips. 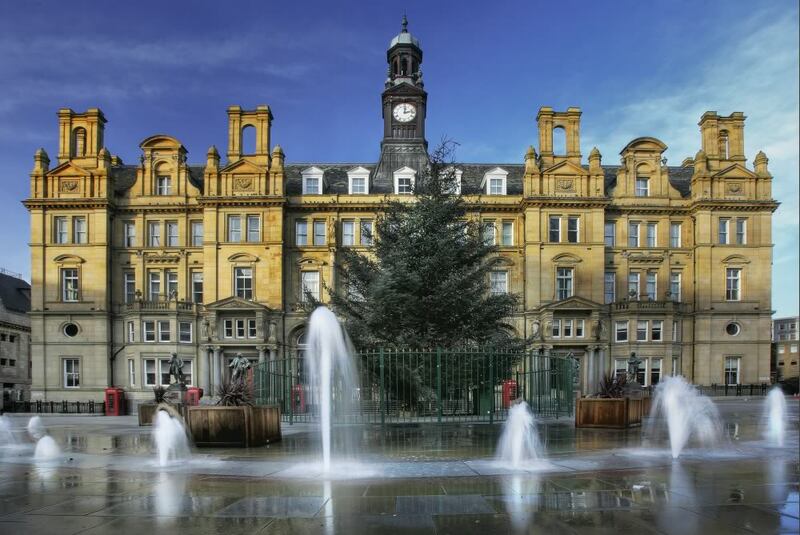 If you are visiting Leeds by train simply walk out the stations front entrance and you will find the Old Post Office by heading left towards the city centre. For those not arriving by rail, the Old Post Office building is situated on Park Row and is easy to find for first time visitors, simply look for directions to the train station and you can’t go far wrong. Once you find it you will be able to enjoy the grandeur of the Victorian architecture, while in one of northern England’s most vibrant cities.